© 2019, LUMINA | Real Estate Consulting, Sales and Marketing by Polaris Pacific - a licensed California, Arizona, Colorado, Hawaii, Oregon and Washington Broker - CA DRE #1499250. 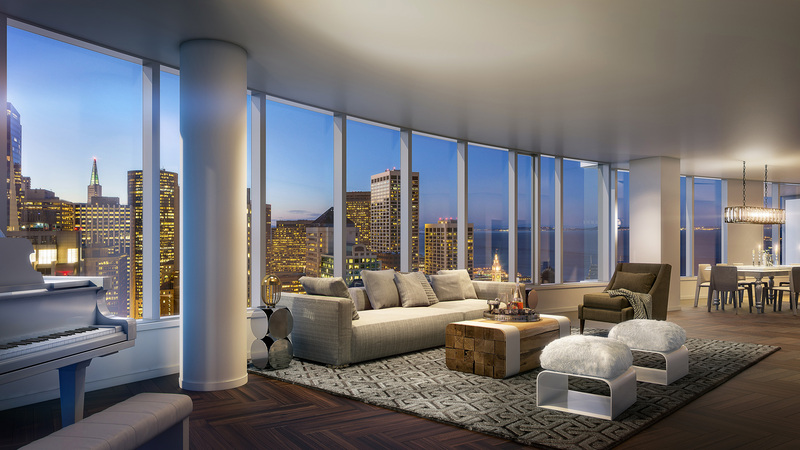 A 15,000-square-foot duplex condominium that overlooks the Bay Bridge is the new most expensive listing in San Francisco, with a price tag of $49 million. The penthouse on the 41st and 42nd floors of one of two Lumina towers being developed by Tishman Speyer is still under construction. LUMINA: life in a new light. For press inquiries, please contact Pike & Company.